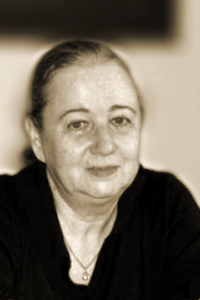 Lidia Vianu is the author of several works of literary criticism, including The Desperado Age: British Literature at the Start of the Third Millennium (Bucharest University Press, 2004), Alan Brownjohn and the Desperado Age (Bucharest University Press, 2003), and British Literary Desperadoes at the Turn of the Millennium (Bucharest: ALL Educational, 1999). She is the author of two books of interviews: Censorship in Romania (Central European University Press, 1998) and Desperado Essay-Interviews (Bucharest University Press, 2006), along with translations, a novel, and three poetry collections. She translated Marin Sorescu’s poetry collection The Bridge (Bloodaxe Books, 2004) with Adam J. Sorkin, which won the 2005 Corneliu M. Popescu Prize for European Poetry Translation. Vianu has been a Fulbright lecturer at the University of California, Berkeley (1997–1998), and at the State University of New York at Binghamton (1991–1992). Vianu is a professor of Contemporary British Literature at the University of Bucharest, where she serves as director of the Centre for the Translation and Interpretation of the Contemporary Text.